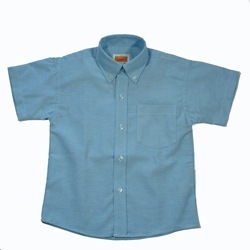 Boys Oxford Cloth Short Sleeve Button-Down Shirt. Available in blue. Consult the sizing charts.